Recently (yesterday!) upgraded the VxRail clusters in a lab my team uses for Pivotal Ready Architecture development and testing and immediately noticed many differences. 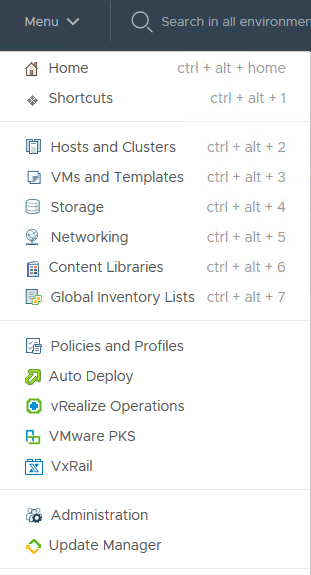 In this environment, we have a “management” cluster using the VxRail-managed vCenter Server. On this cluster is also another vCenter Server that is used by three additional VxRail clusters – when the “Availability Zone” clusters are deployed, they use this shared “external” vCenter Server. After upgrading the management cluster, the VxRail extension was registered in the HTML5 vSphere Web Client. From here, when selecting the “VxRail” choice, you’ll see the VxRail dashboard. 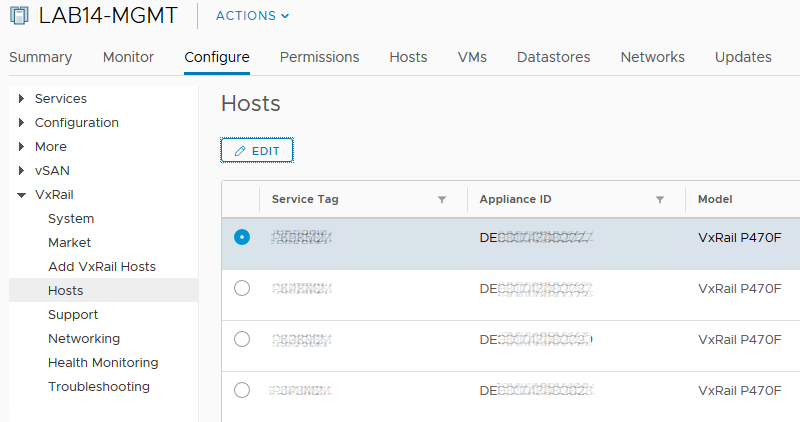 This allows you to see a quick status of the selected VxRail cluster, some support information and recent messages from the VxRail community. The System section displays the currently-installed VxRail version and has a link to perform an update. Clicking the “Update” link will launch a new browser tab and take you to the VxRail Manager web gui where you can perform the bundle update. Next, the Market item will also launch a new browser tab on the VxRail Manager web gui where you can download available Dell EMC applications. For now, it lists Data Domain Virtual Edition and Isilon SD Edge. The Hosts item displays the hosts in the cluster. One interesting feature here is that it displays the Service Tag and Appliance ID right here! You may not need this information often, but when you do, it’s super-critical. You’ll notice the “Edit” button on the hosts list; this allows you to set/change the host’s name and management IP. 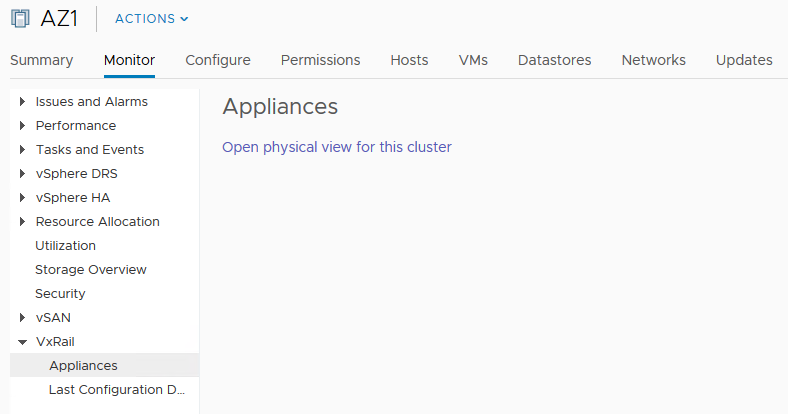 On the Monitor tab for the selected vSphere VxRail cluster, the Appliances item provides a link to the VxRail Manager web gui where the hardware is shown and will highlight any components in need of attention. Any faults will also be in the “All Issues” section of the regular web client, so the hardware detail will provide visual clues if needed. Congratulations to the VxRail team responsible for this important milestone that brings another level of integration with vSphere and a “single-pane-of-glass”!